When I was in college, not so very long ago, I took a publishing course because I had always been interested in the publishing process. During one of our many class discussions, we talked about electronic reading platforms and eBooks, listing the effects they had on the publishing market. It was a great discussion, but it spurred an avenue of conversation that I don’t believe my professor had planned on. One of my classmates asserted, quite heatedly, that she would never use an eReader for her books. Ever. She even went so far as to say that true book lovers only read print books, nothing else. At this declaration, my thoughts turned to the Kindle eReader that was snugly tucked in my purse just below my desk. A self-proclaimed bibliophile (and later proud book wench), I seriously considered her statement; not too many years before that, in a creative writing class taught by the same professor, I had developed a similar (though not quite as extreme) opinion. During that creative writing class the professor and a different student were talking about the Kindle during some pre-class downtime. I, never having heard of the Kindle (I know, I know), asked them what it was. The student showed me hers and I made a resolution right then that I would never get one because it simply took away the magic that comes with reading: the weight of a thick book packed with adventures; the sweet smell of pages new and old; the mixed feelings of excitement and sadness as you watch that chunk of unread story dwindle with every turn of the page. No, I would never sacrifice those experiences for some high-tech substitute. 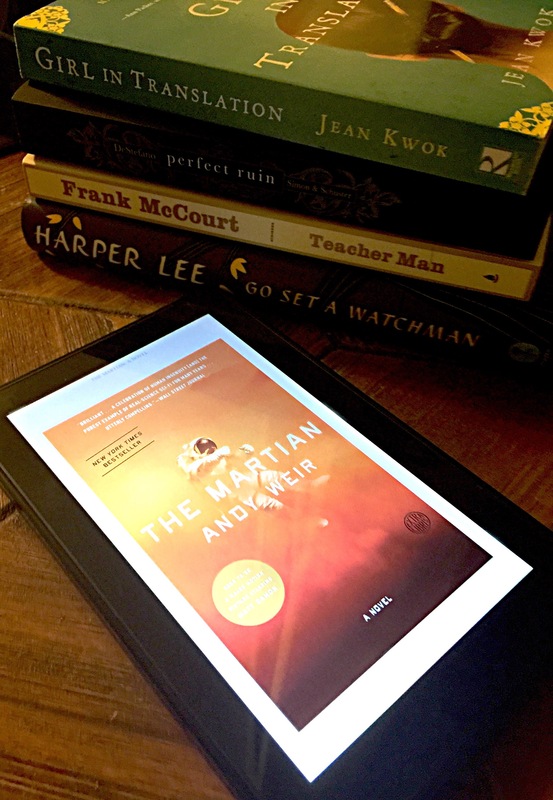 A year and a half later, and a year and a half before that publishing class discussion, I received the Kindle Fire from my now-husband as a Christmas gift– and I was absolutely, without-a-doubt, elated. Not much, actually. I was still the same level of book-crazy (if not more so, judging by my ever-growing collection). I hadn’t sold my soul to the technological devil (I still have to have my husband hook up the various devices he has). And I certainly hadn’t tired of those beautiful sensory experiences I mentioned above. So what changed? Actually, it’s quite interesting. One obscure day during the three years between those two classes, I had been talking to a friend in the college cafeteria. The conversation, unsurprisingly, had turned to books. More to the point, the conversation was about why I liked to read. My lunch companion was not a reader at all. He preferred football and hiking and surfing. Reading was not his thing. He noticed that I had brought a book to lunch with me and he wondered aloud about what exactly was the attraction. I bet you are all expecting that I mentioned the reassuring weight, the comforting smell, and the climactic page-turning, right? Wrong. At least, that wasn’t my initial reasoning. I told this friend that I loved reading because I had always dreamed of doing so many things and living so many lives and, through reading, I could do that. Reading was simultaneously a cathartic escape and an emotionally compromising adventure. The wonder of being in another person’s head, fictional or not, was intoxicating. It was a freedom that I wouldn’t trade for anything. How else, I asked him, could you be a swash-buckling pirate sailing across the Atlantic one day and a young student at Hogwarts School of Witchcraft and Wizardry the next? For almost an hour I gushed before even mentioning the sensory details of feeling a book in your hand. Those sensory details are important, yes, but they aren’t why I love to read. I read for the story, the words, the feelings. Whether you read a corporeal book or an eReader, the important thing, to me, is that You. Are. Reading. Plain and simple. You are allowing your mind, heart, and soul to be figuratively transported to a whole new world and that, my friends, is the point of reading. I can be just as entranced by a digital page as I am a physical, paper one. P.S. What are your thoughts on eReaders? Do you have one? If so, is there only a particular type of book you’ll read on it? For me, I do not read historical non-fiction on my Kindle. But I will read historical fiction on it. It’s weird, I know.